Mercedes-Benz is a company often portrayed as being deeply conservative, though in fact, no other manufacturer has such a record of innovation. Today, the brand is bolder, more forward-thinking and younger in feel, attributes very much in evidence in this revised third generation version of its smallest A-Class model, sold between 2015 and 2017. This version of this model was pitched even more directly against sporty premium compact family hatches like Audi's A3 and BMW's 1 Series thanks to extra driving features, plus sharper looks, extra media connectivity and greater efficiency. How does it stack up as a used buy? 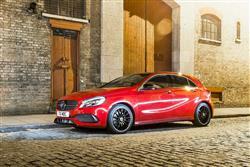 The third generation Mercedes A-Class made this famous marque one a younger buyer could consider. Its biggest problem though, following an original launch in 2012 was what had been one of the previous design's biggest attributes: ride quality. In their efforts to make this MK3 version sporty and dynamic, the development team also made the suspension fidgety and overly stiff. Rival BMW and Audi models could better this - and offer slightly more running cost efficiency and infotainment cleverness. 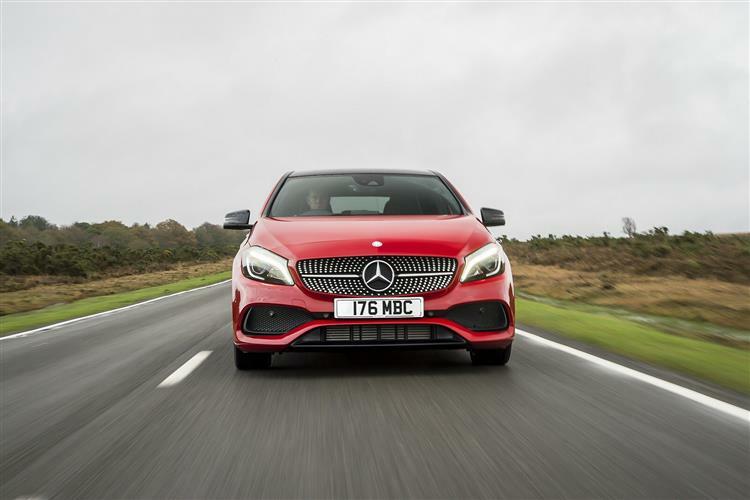 Hence the need for the significantly revised third generation A-Class range the Stuttgart brand launched in the Autumn of 2015, the car we're going to look at here. 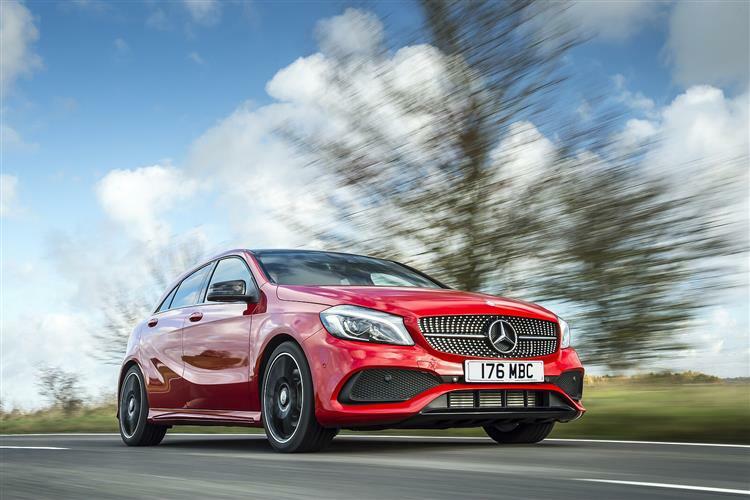 With this improved design, Mercedes claimed to have addressed the ride quality issue by offering buyers the option of adaptive dampers working as part of a freshly-installed 'Dynamic Select' driving modes system. 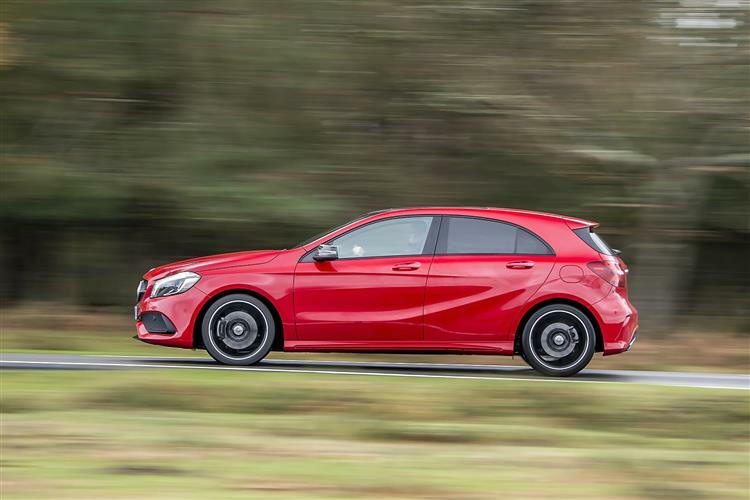 On top of that, A-Class buyers got more media connectivity features, along with a sleeker look and extra cabin quality. Plus most of the engines offered extra power and all were more efficient. It was all enough to keep the MK3 model A-Class very competitive for the last couple of years of its life until it was replaced by an all-new fourth generation model in the Spring of 2018. If you think of clever, forward-thinking British design as something belonging to your father's time, then check out one of these. 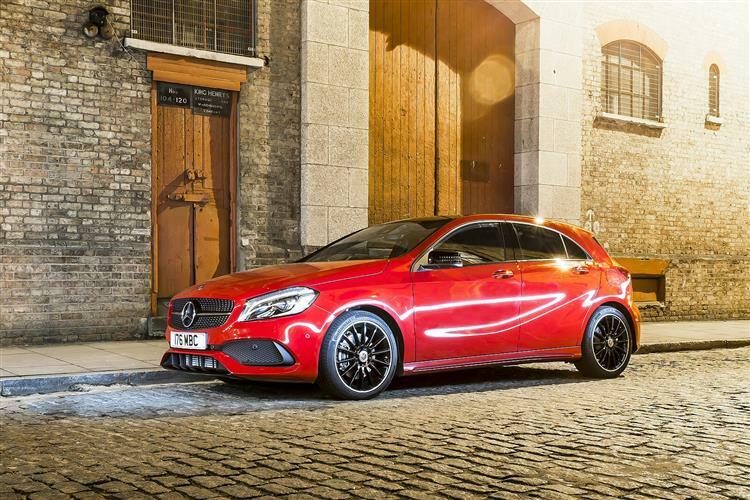 This third generation A-Class model's original shape was styled by Englishman Mark Featherston, a graduate from Coventry University's School of Transport Design and the man who designed Mercedes' SLS AMG gullwing supercar. Modern, extrovert and quite radical, it was everything its predecessors weren't and few embellishments were needed in 2015 to keep this facelifted version looking fresh. As with the original version of this MK3 model, the pronounced front end has a prominent arrow-shape that, as part of the aesthetic revisions, was further emphasised by a re-styled bumper that looks particularly dynamic with the AMG bodystyling package. At the wheel, the cabin treatment is, if anything, even bolder than that of the bodywork. This is yet another interior inspired from the world of aviation, with your eye immediately drawn to the five circular air vents, styled to resemble jet engines and finished in 'cool touch' electroplated metal trim. The three grouped in the centre of the fascia sit below what remains a rather unusual touch, a free-standing Central Media Display. It looks like an iPad that's been bolted onto the upper part of the centre console as something of an after-thought. Actually though, it's a fully-integrated infotainment system that now offers far more sophisticated media connectivity via a larger 7 or 8-inch screen with much classier graphics. If you take a seat in the back, you'll find that the curve of the rear side windows and the amount that the rear wheel arches intrude into the door openings mean that getting in isn't quite as easy as it would be in, say, a Focus or a Golf. Once installed inside though, even a couple of six-footers should be reasonably comfortable, thanks to scalloped cut-outs at the back of the front seats. And the boot? Well the heavily styled rear light clusters do necessitate a rather narrow opening, but once you get your stuff inside, you'll find nearly as much space as you'd get in a rival A3 or a 1 Series - 341-litres with the rear seats up or 1,157-litres with them folded. Though we came across plenty of happy A-Class buyers in our ownership survey of this revised MK3 model, inevitably, there were a few issues thrown up. A number of customers have complained of gearbox issues, advertised by gear section problems that gradually get worse and a dashboard warning light. Sorting this requires a control box change. What else? 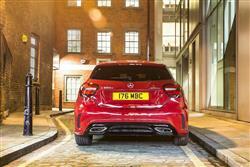 Well in one instance, one buyer's A-Class suffered an ECU cut-out that locked him out. In another, the engine control unit needed updating after ignition failure. There was a report of a shock absorber breaking. Another of front speaker problems. And another of difficulties with the rear wiper electronics. Surprisingly, we came across a number of buyers complaining of rattles, creaking seats and a squeaky clutch. Some also mentioned screeching brakes which one owner was told by Mercedes were 'characteristic' of this car: don't believe it. Look out for all these things on the test driver and check the main electrical functions of the car - plus have a good look at the alloy wheels to make sure that they're not kerbed or scratched. 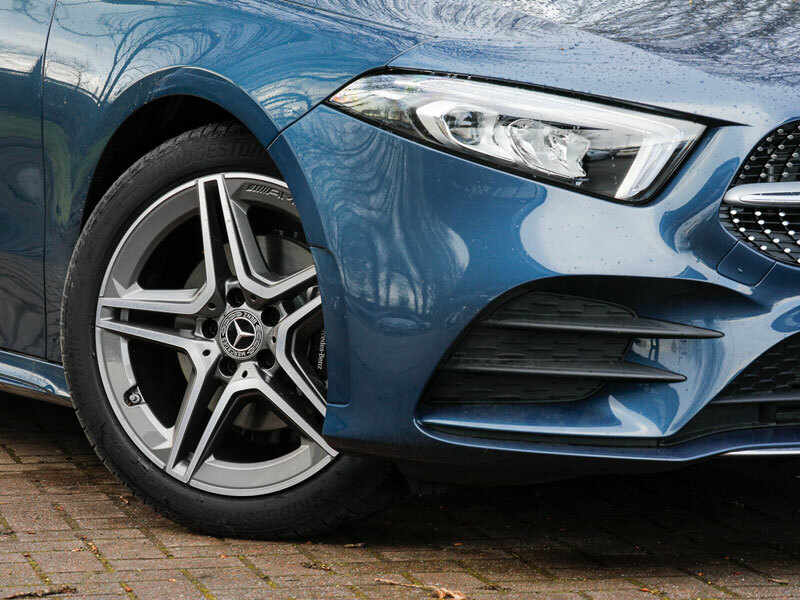 The small rear window means that reversing into spaces isn't that easy, so the changes of alloy wheel damage are probably higher than they would be normally - and this can be expensive to fix. In the highly unlikely event that some sort of engine problem presents itself, it would be expensive to repair because of the quality of the parts. On an older very high mileage car, you should have the timing belt replaced if it hasn't been already; should it not be replaced and it breaks, you expect a hefty bill and the engine compartment would be in bad shape if this were to happen. (approx based on a 2015 A180 ex VAT) An air filter is around £12, but a pair of brake discs can be anything from around £23 to around £66, depending on the brand you choose. Brake pads are in the £25 to £55 bracket. Oil filters sit in the £8 to £12 bracket. A radiator will be around £183, but a pricier brand item could be as much as £330. Wiper blades are around £10. And a water pump is around £105. 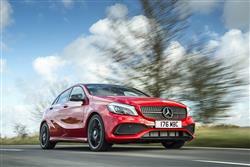 On the move, the key change with this improved third generation A-Class model lay with the addition of a 'Dynamic Select' driving programme selector which allowed drivers to appropriately tweak steering and throttle settings - and alter gearshift timings too on models fitted with the 7G-DCT 7-speed automatic gearbox. Buyers of up-spec models can also alter suspension settings via this same system, provided they get themselves a car whose original owner paid extra for the 'selective damping' system. This helps resolve the rather fidgety ride that you get from this car in its standard form. 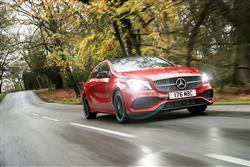 The pay-off for that though, is class-leadingly taut handling and impressive body control through the bends. 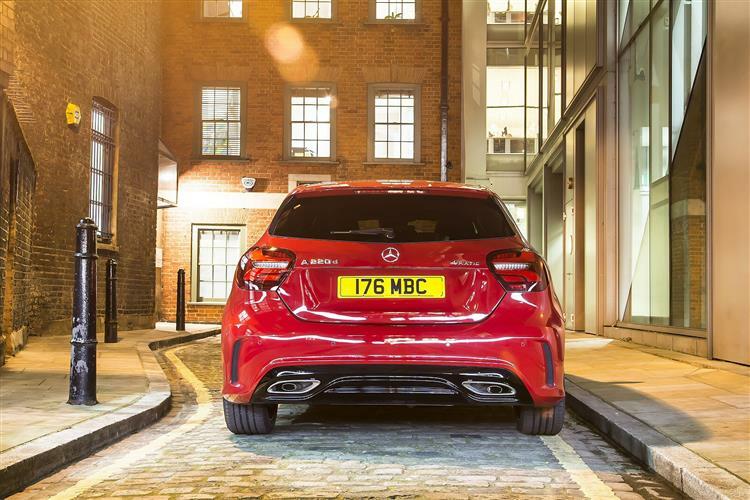 Engine-wise, Mercedes' main efforts with this MK3 model revision package centred around improving the efficiency of its diesel engines, hence the way the entry-level 1.5-litre A180d can return up to 80.7mpg on the combined cycle and 89g/km of CO2. 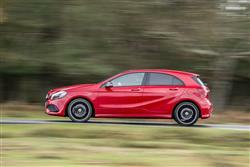 Most went for the pokier 2.1-litre diesel offered in 136bp guise in the A200d, or in 177bhp form in the auto-only A220d variant, a car that was also offered with 4MATIC AWD. Petrol buyers get a 1.6-litre unit offered with either 122 or 156bhp depending on your choice between A180 or A200 derivatives. Otherwise, you're looking at one of the AMG-engineered 2.0-litre hot hatch variants - either the 218bhp A250 or the barnstorming 381bhp Mercedes-AMG A45 4MATIC model. And in summary? Well those who can afford the asking prices and like the driving experience will find this hatch sporty, self-assured and possessed of a feel-good factor that really does make you feel special if you've specced your chosen variant correctly. Which is exactly what owning a car of this kind should be all about.